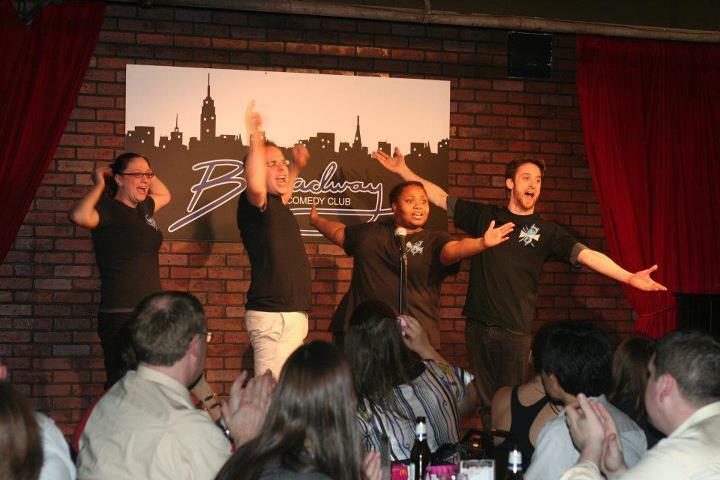 CLICK HERE for full calendar of Improv at the Broadway Comedy Club. Select date/time of show you wish to attend to purchase discount tickets ($10 via this link, $25 at the door). SATURDAYS 8pm LMAO OFF-BROADWAY Improv plays weekly at the Broadway Comedy Club NYC – The interactive musical, sketch and game comedy show is created on the spot based on audience sound effects and participation. COME BE A PART OF THE SHOW!!! Silence, mortals! We are SPACE GOD. Based on an audience suggestion, we will create a completely improvised musical that will destroy your Earthling minds. WARNING: Space God will abduct audiences with our wildly fun musical stylings. Dance partying may result. Laurice Fattal has been performing in theatre, music concerts, and stage shows since the age of 10. She originally began writing scripts and composing music through her own vocal group in high school. She continued to pursue her passion for the performing arts in college through studies in theatrical production, acting, music and opera. She has worked in casting, directing, and writing with professional companies based out of NYC, MD and DC. Laurice has written and performed in dozens of sketch comedy digital shorts for LMAONYC. Other credits include the Indie short mockumentary: P.O.O.P: The Movie, Writer/Director of The Top 8 at Eight (original web series), Fox & Friends. Musicals/Operas: Amahl and the Night Visitors (Riverside Opera NYC), 27 Santa’s & and Elf Called Kevin , Alice in Wonderland – A New Musical, The Phantom Tollbooth – By Sheldon Harnick, The Lounge @ Under St. Marks. In addition to developing the concept for “Eight is NEVER enough!”, she is thrilled to be the co-founder of “IMPROV 4 Kids!” and Bully Assemblies NY – both are outreach programs that currently tour K-12 school. Artistic Director, PATRICK REIDY is an actor, comedian, musician, and improviser in NYC. He can currently be seen as a host and improv comedian at the Broadway Comedy Club for the Eight Is Never Enough and LMAO-NYCInteractive Comedy Shows as well as touring with their family friendly cousin, Improv 4 Kids. He is also an established improv teacher, having taught for the Comedy Hall Of Fame and independent residences throughout the five boroughs. As a sketch writer and performer his work has been featured onFunny Or Die, College Humor, and the Absent Minded Comedy Show. He is a graduate of Salem State University and has studied improv, sketch-writing, stand-up, and screenwriting at the Upright Citizens Brigade, The Peoples Improv Theatre,andThe Annoyance Theater. Yes, and he would love to help you with your next artistic project! Liz Lord has been a cast member of Eight is Never Enough presents Improv for Kids and LMAO since April of 2012. After receiving her theater degree from Earlham College, Liz came to the city to act, direct, and teach. Favorite roles include Ophelia in Hamlet, Liz in Chicago, and She in The Loveliest Afternoon of the Year. She loves performing in new work as well, and has been on stage for many of New York Cities various theater festivals. Liz has directed adults and children, and is the co-artistic director of the newly formed Three Bridges Theater. Teaching has always been one of Liz‘s favorite endeavors. She has worked with Americorps to bring arts education to low income families, taught literacy through acting with the Central Park Historical Society, and acted as an assistant director for the Sports and Arts in Schools Foundation. Her favorite teaching position, however, has been teaching stand-up and Improv to kids with SGF Productions. In Alex’s short life of improv, he has had the amazing pleasure of training with Mark Grenier, Russ Armstrong, Armando Diaz, Alex Marino, Michael Martin, Desire Nash, Tara Copeland, and Jill Bernard. 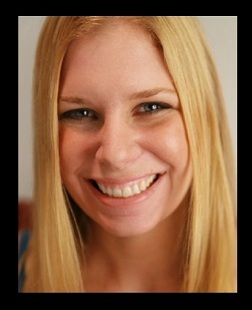 Elissa Dauria is a creative executive at Maximum Films & Management, and used to work for J Lo and before that, Sony TV. Don’t worry – she hasn’t been hacked yet. While she hasn’t been doing improv for very long, she did a lot of musical theater in school. Like, a lot – from age 9-18 she was in about 45 plays and/or musicals. Elissa trained at the Magnet Theater and currently performs on the musical improv house team Space God at QSIC. Jon just spent half an hour writing this thing, and then lost it… but he’s an improviser, so he’s used to throw away art. 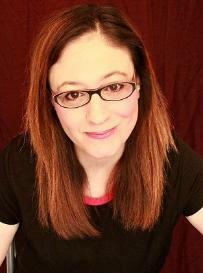 Alisa Ledyard is an actor/singer/improviser originally from Akron, Ohio. Her first theatrical experience was in her grandmaâ€™s living room when she was 9 years old, performing a two-person version of â€œInto the Woodsâ€ where she played every female role. She has a BFA in Musical Theatre from Kent State University and studied improv at the Magnet, UCB and the PIT. During the day she is the lead singer for the kidsâ€™ music program, Rock-a-Baby, where she teaches rock and roll to babies, and itâ€™s awesome. Her first name is pronounced uh-lease-uh and anything other than that makes her sad. Alisa performs musical improv at the Magnet Theater with the Musical Megawatt team The Stragglers and with the QSIC house team Space God. Sloane Miller studied voice with Peggy Atkinson at NYU/Cap21 and improv & musical improv with Lorraine Cink, Desiree Nash, Oscar Montoya, Bradford Jordan, Ashley Ward and Rebecca Vigil at the PIT and Michael Lutton, Ryan Dunkin and Rick Andrews at the Magnet. When she’s not singing, Sloane’s an author and psychotherapeutic social worker in private practice in New York City. You can find her online at http://www.allergicgirl.com. World class screamer. Seriously, don’t test me! This entry was posted in EVENTS and tagged anti-bully, artists, arts, bells, breakfast, broadway, building, bully, calendar, camp, carols, character building, choir, chorus, christams, christmas, class, classes, client, club, college, comedy, community, connecticut, core, corporate, costume, creativity, cultural, curriculum, december, deck, dentist, discount, educate, educational, elf, events, feliz navidad, frosty, games, halls, help, holiday, how, how to, improv, interactive, jingle, jinglebells, kids, language arts, leadership, learn, link, lyrics, mate, musical, new jersey, new york, new york state, noel, nyc, outreach, player, public speaking, rudolf, sacred, santa, schedule, school, show, shows, sing a long, sketch, songs, special, stand-up, stop, student, teacher, teaching, team, team building, teambuilding, techniques, teens, theaetr, theater, tickets, times square, training, up, video, warm, warm up, work, workshop, workshops, yes! and.... Bookmark the permalink.